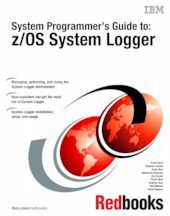 The z/OS System Logger is a function provided by the operating system to exploiters running on z/OS. The number of exploiters of this component is increasing, as is its importance in relation to system performance and availability. This IBM Redbooks document provides system programmers with a solid understanding of the System Logger component and guidance about how it should be set up for optimum performance with each of the exploiters. System Logger is an MVS component that provides a logging facility for applications running in a single-system or multi-system sysplex. The advantage of using System Logger is that the responsibility for tasks such as saving the log data (with the requested persistence), retrieving the data (potentially from any system in the sysplex), archiving the data, and expiring the data is removed from the creator of the log records. In addition, Logger provides the ability to have a single, merged, log, containing log data from multiple instances of an application within the sysplex.